A 5-storey building collapsed in Ghaziabad's Khoda area on Friday, according to various media reports. The rescue operation is underway as police officials and National Disaster Relief Force (NDRF) teams have been rushed to the spot. The incident occurred days after an under-construction building was collapsed in Missal Gadi area of Ghaziabad, leaving 2 dead and several injured. A 5-storey building collapsed in Ghaziabad’s Khoda area on Friday, according to various media reports. Many are feared trapped in the debris of the building. The rescue operation is underway as police officials and National Disaster Relief Force (NDRF) teams have been rushed to the spot. 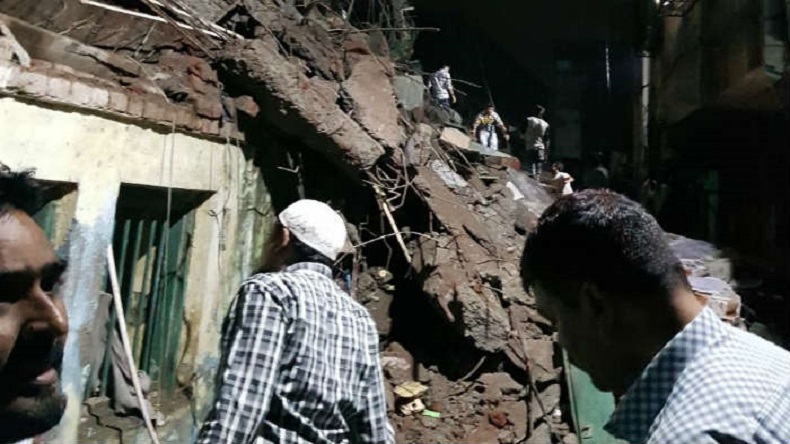 The incident occurred days after an under-construction building was collapsed in Missal Gadi area of Ghaziabad, leaving 2 dead and several injured.